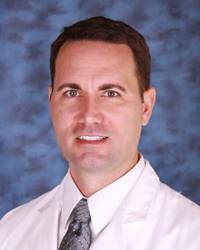 Dr. Buzzard has been part of the team at Bryan, TX-based CHI St. Joseph Health since 2008 and has been involved in the Bryan-College Station community and surrounding areas. He was named the Medical Director of the Bryan Fire Department in 2012 and also works with the St. Joseph EMS, Robertson County EMS, Waller County EMS, and PHI Air Med 12 systems. He is a Clinical Assistant Professor of Emergency Medicine with the Texas A&M Health Science Center College of Medicine. A graduate of Texas A&M University, Dr. Buzzard earned his medical degree at the University of Texas Health Science Center at San Antonio. He completed his emergency medicine residency at Darnall Army Community Hospital at Fort Hood, TX. In total, he spent 10 years in the U.S. Army and eight years in the Army National Guard and Army Reserves. During that time he served four combat tours in Iraq at a Level I trauma center and on-board fixed-wing aircraft and helicopters. Dr. Buzzard is the recipient of more than a dozen medals and other military awards. He also has experience as a combat medic and EMT. Apart from his clinical interests, Dr. Buzzard is an open water SCUBA diver, home remodeler, amateur astronomer, and enjoys a wide range of outdoor activities.